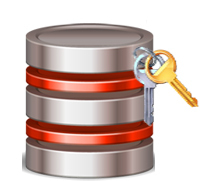 SQL Password Recovery is a proficient tool that Renders provision to uncover the password protected SQL database. The simple and self-explanatory interface implemented in the design helps the users to work with the tool without any discomfort. Demo version of SQL Password Recovery tool limits to the preview of user account login and the password status. SQL Server is a management system deployed for enterprise or organizations. It helps to manage and store the information in precise way using SQL query language. Users can store and retrieve the data from the database or even make changes to the database. The database uses two file formats; MDF and LDF. MDF is the primary file that contains the data and schema whereas LDF stores the logs. Another interesting feature is it allows securing the database using password protection. There are chances for the losing or forgetting the password of the file. Once if the file is locked with password, you will have to get them to open it up. Suppose, if you have a protected file but, doesn't have the password and there is no way you can get them. In such situations, depending on password recovery tool is the reliable option. Why Is It Accepted Globally? Forgetting passwords are a common scenario seen around. We protect the database with password and forgets or losses the passwords. The software helps to recover the forgotten password within less time. With the tool, users get the facility to reset multiple user passwords of any varied length. What additional requirements are to be met while launching the tool? While running the tool, users should ensure that all the services of SQL Server are stopped. Which all versions of SQL Server do the software supports? You can use the software with SQL Server 2008 and all below versions. Can I work the tool in Windows 8? SQL Password Recovery tool works with all the versions Windows 8.1 and below. "I must say that the software is trustworthy and efficient. The tool is so easy to work with because of its self-explanatory interface. There was no need for any technical support. Thank you team for such an effortful work." "Since I work with SQL Server for the whole day, I forget the password of the files created. This happens with me every time. Then, one of my friends suggested the SQL Password Recovery. To be frank, the tool is highly effective. Now, my works are safe. Thank you guys for your design."